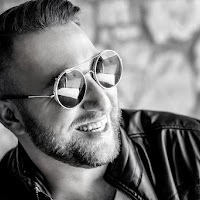 There are several reasons why you want to record phone calls. This can be for legal reasons or just because you want to keep a record of the conversation. Although some smartphones are equipped with call recording features, on other phones you have to download a third-party app to do this. 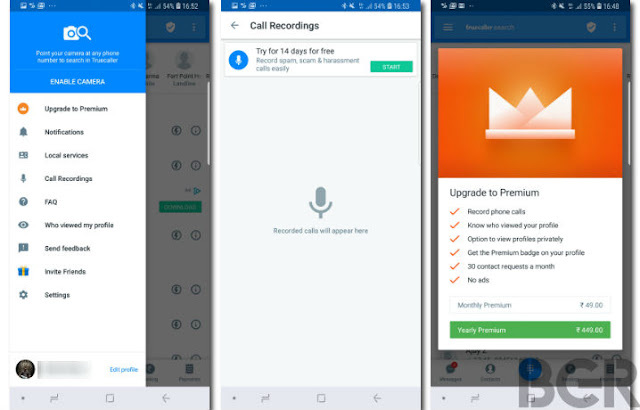 The Truecaller, the popular Caller ID app has recently introduced an in-call call recording feature for Android, and is now moving forward for users. This feature to record your phone conersation is especially available for premium users. If you are interested in premium membership, you can either pay 49 rupees per month or 449 rupees per year (you can save 139 rupees). There is also the option to actually try premium membership before making a payment and subscribing to it. Users can get a 14-day trial of this feature. Once you do this, you can go ahead and activate the call recording feature. Here's how to go about it. 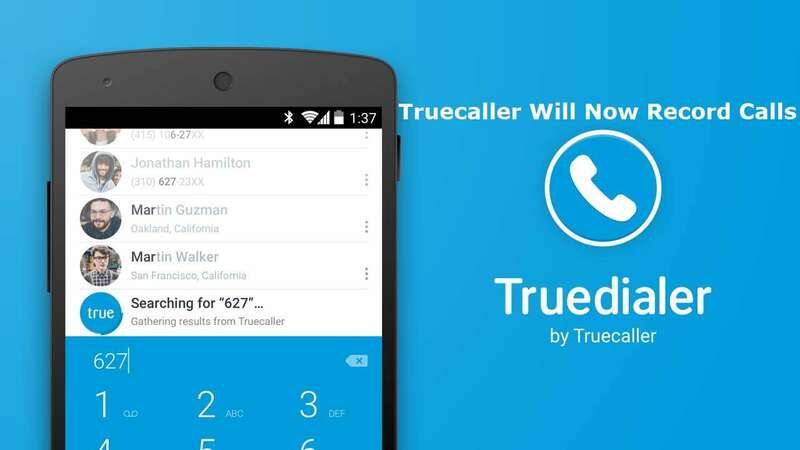 Ensure that you have updated the Truecaller version of app to the latest version 9.13.7 or above. After this, you need to log in with your ID or create one. On the Truceller Home screen, tap the hamburger menu on the left, and then tap on "Call recording". Once you've completed the above steps, tap "View Recording Settings" on the next screen. Here, you can choose between 'Auto' and 'Manual' modes. While Auto mode records that the phone automatically calls, manual mode will give you a small icon on the screen on the call. You have to manually hit start and stop the record button. All call recordings are saved on the internal storage of the phone and can be viewed using the file manager. 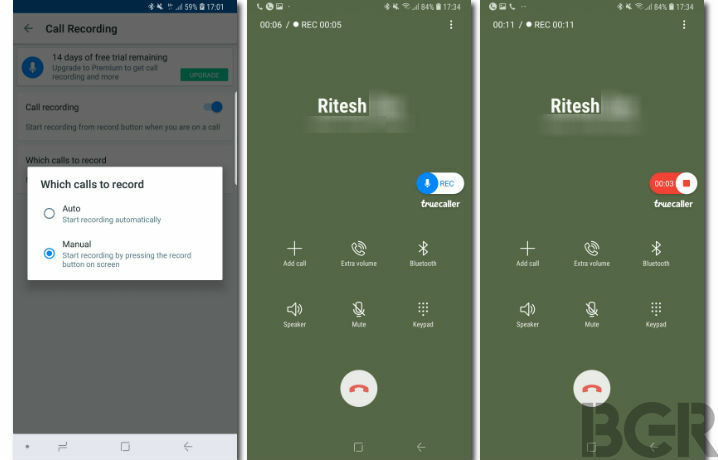 Also, with Android 9 Pie, Google removed the ability to record calls. We tried it on Pixel 2XL and it did not allow us to record call audio. So, if you're on Android Pie OS, then you're out of luck, unless Google has enabled it. 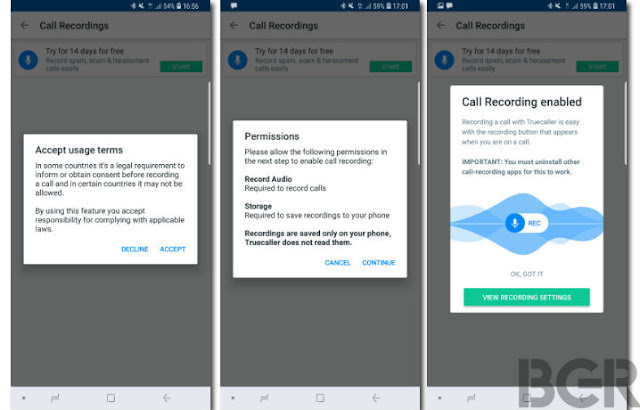 So this is it guys with this trick you can record your phone conversation using Truecaller Call Recording.